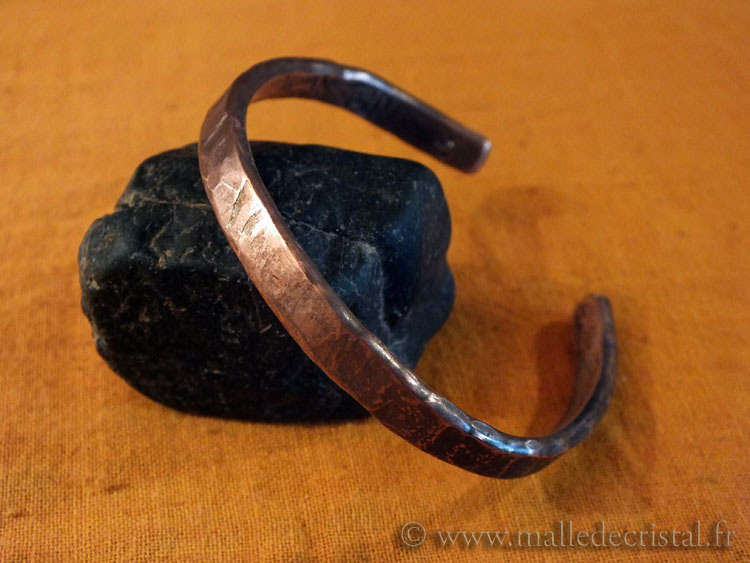 *Pictures are not contractual, as they are handmade piece by piece, it can have slightly difference between the picture and the one received. 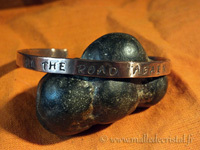 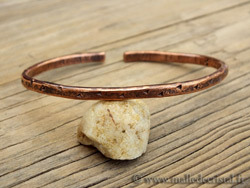 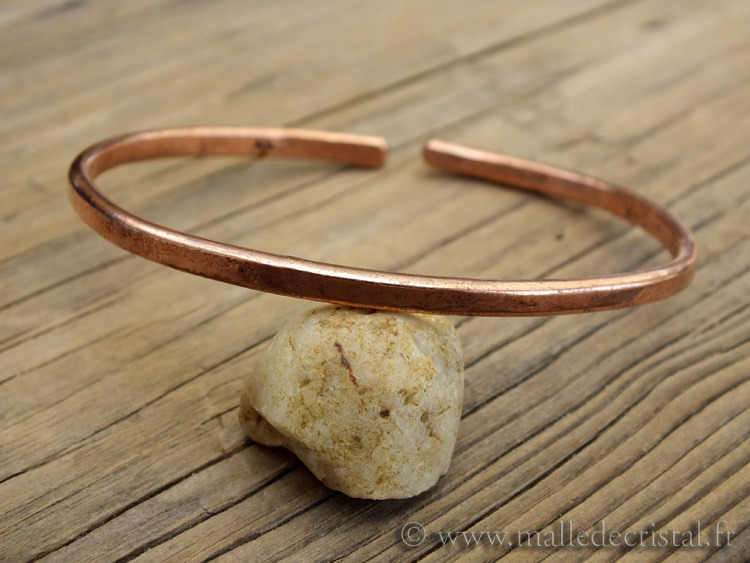 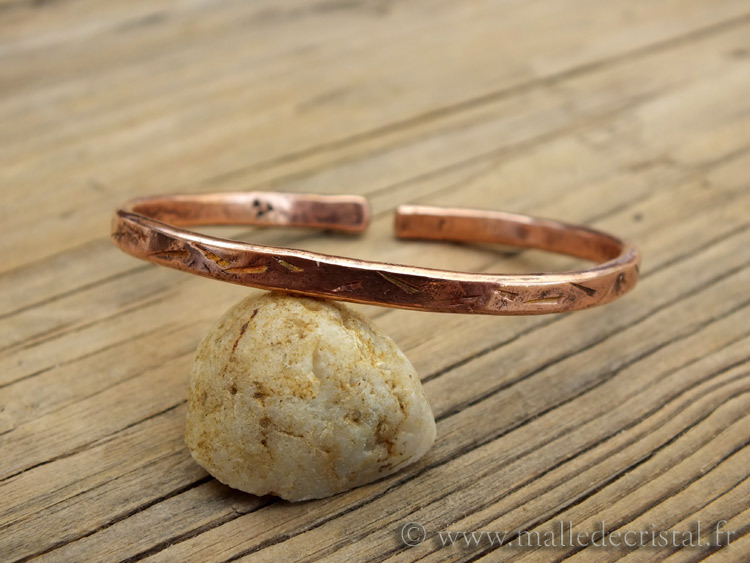 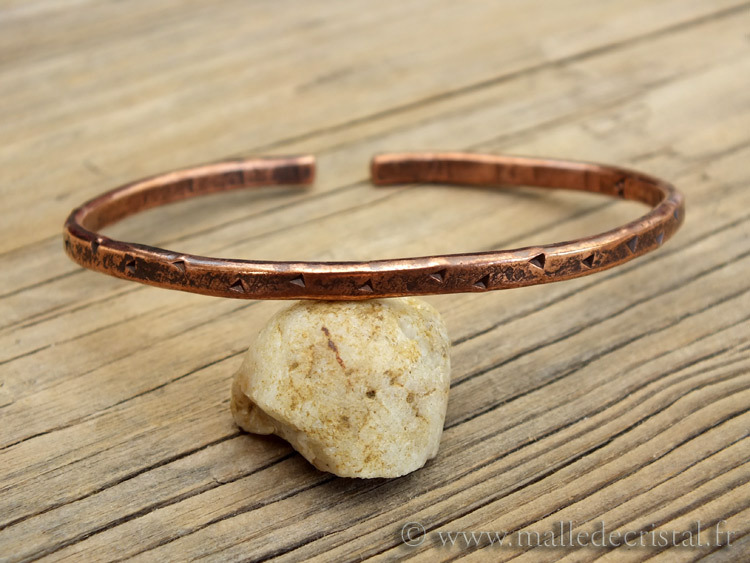 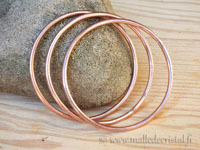 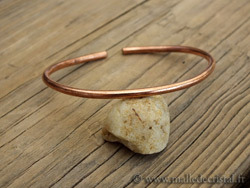 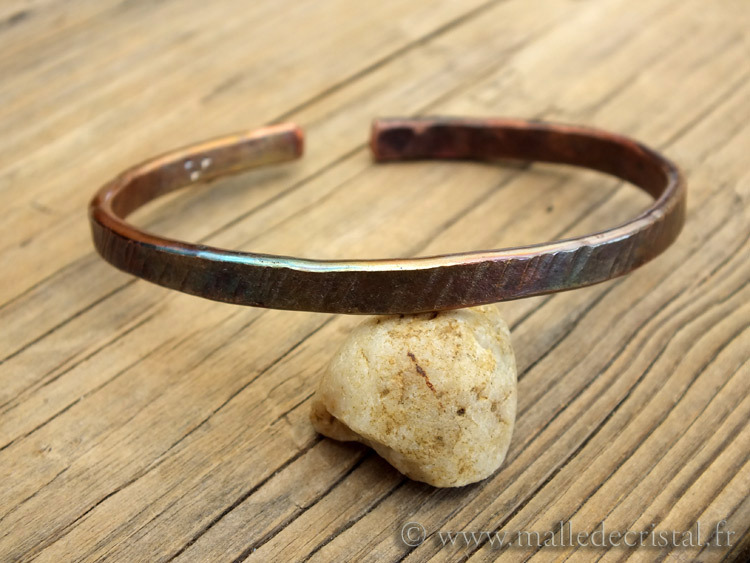 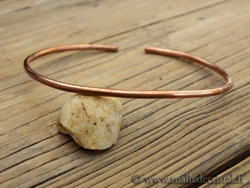 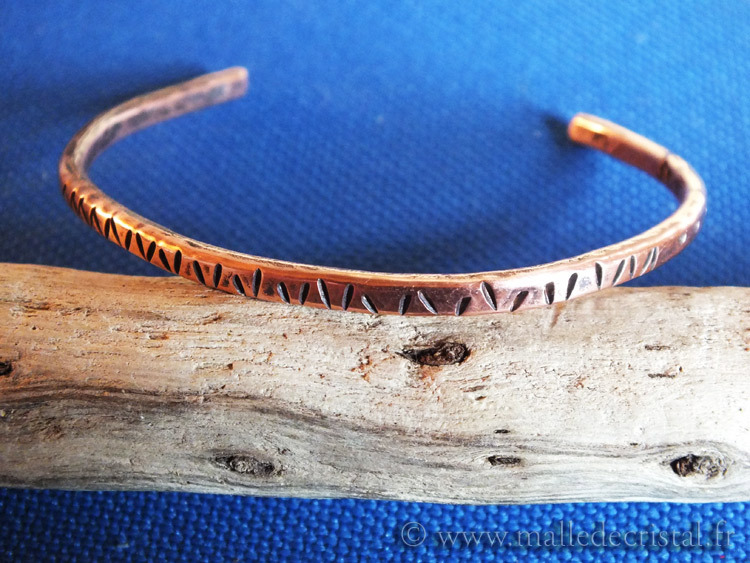 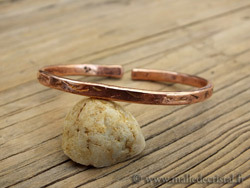 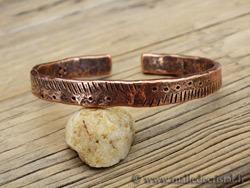 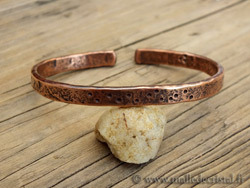 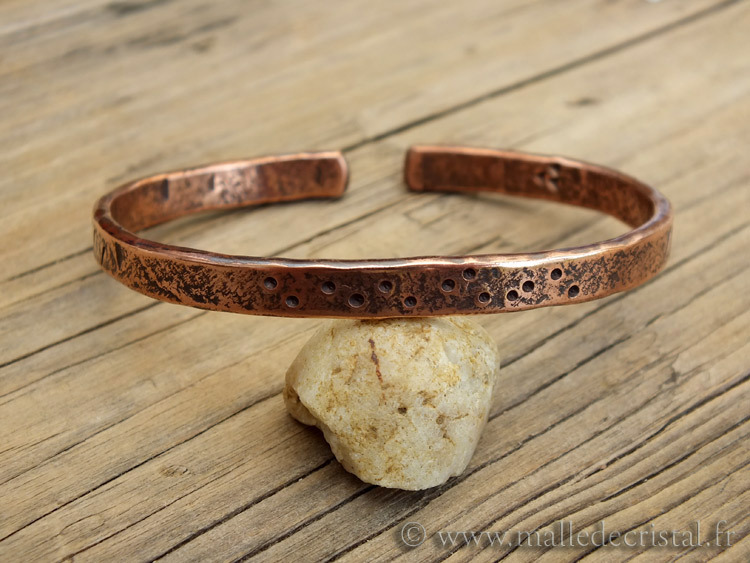 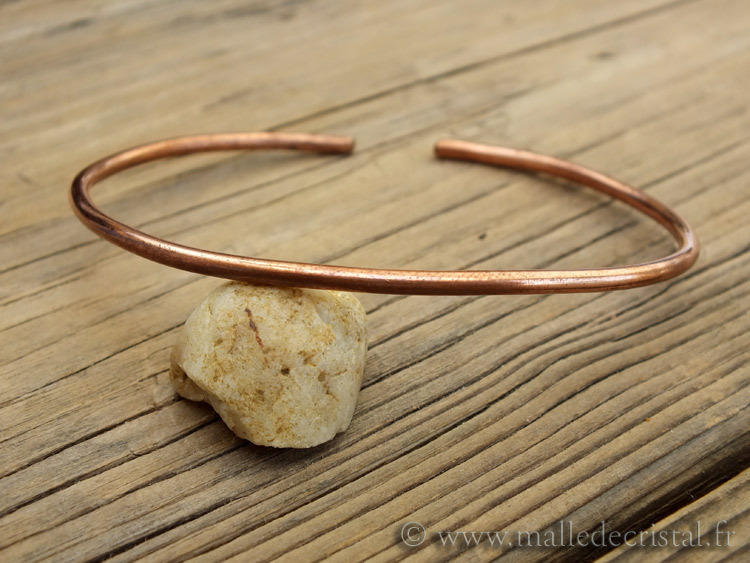 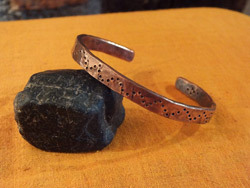 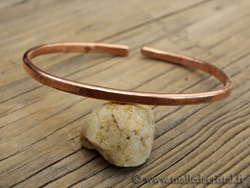 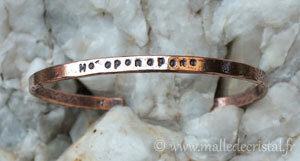 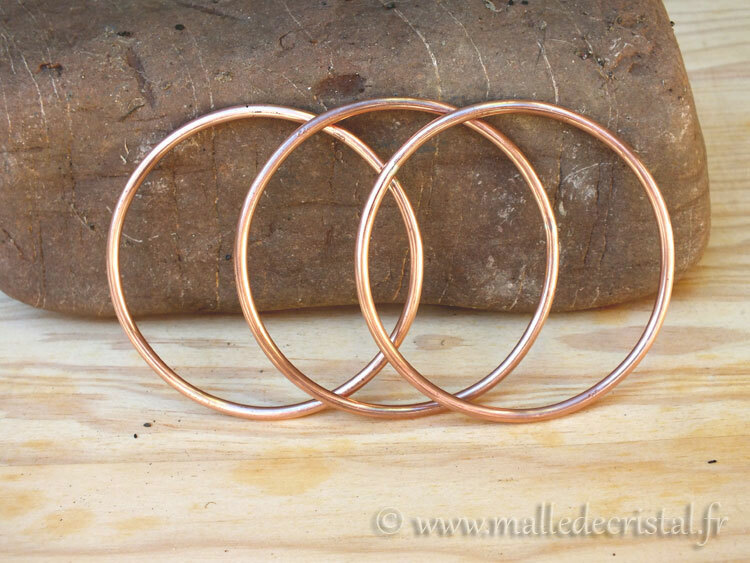 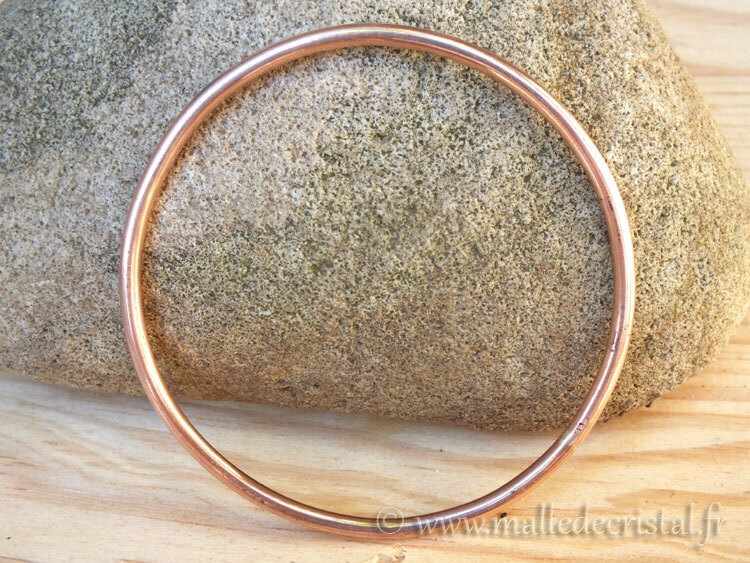 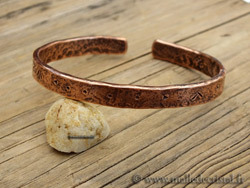 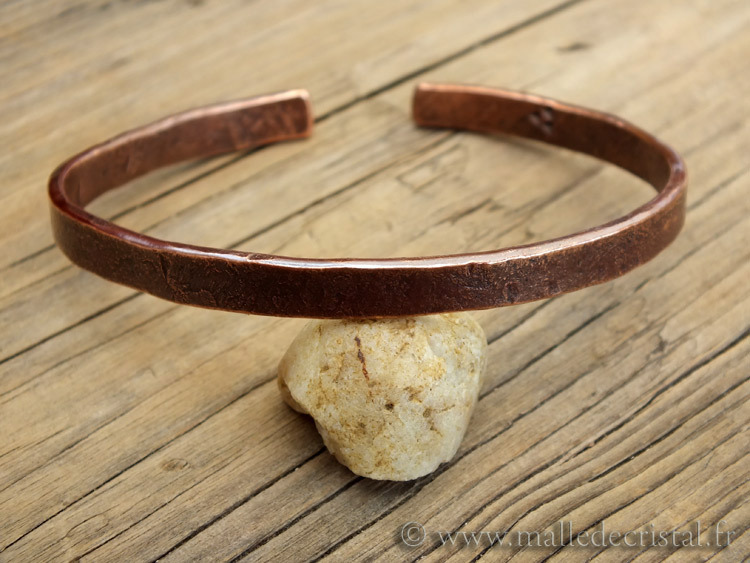 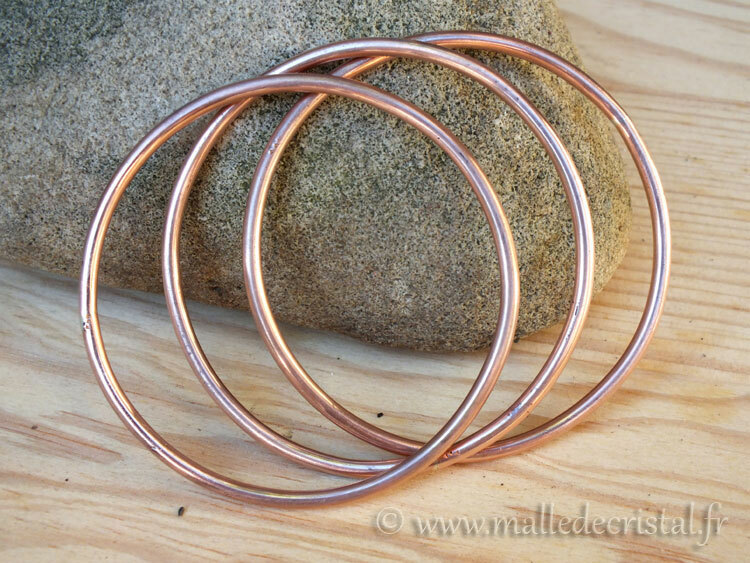 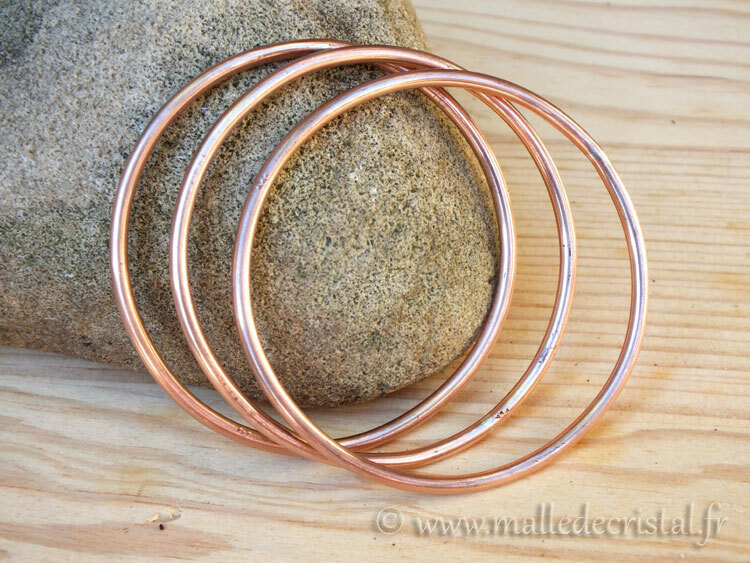 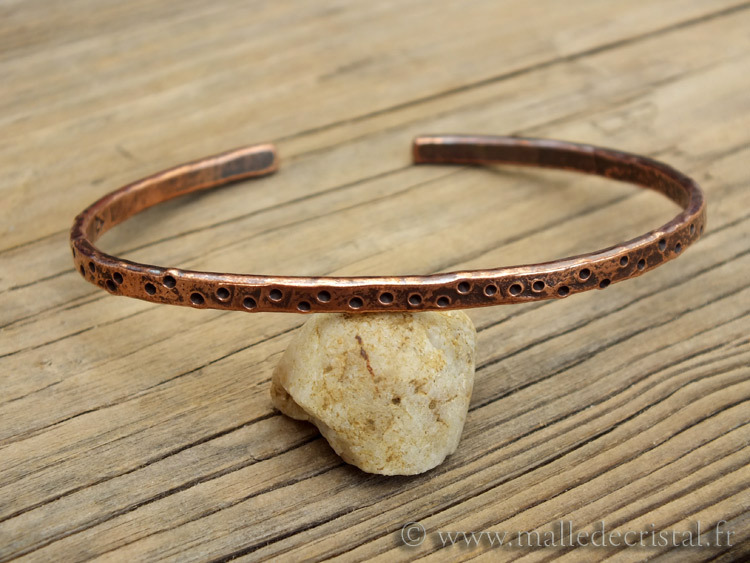 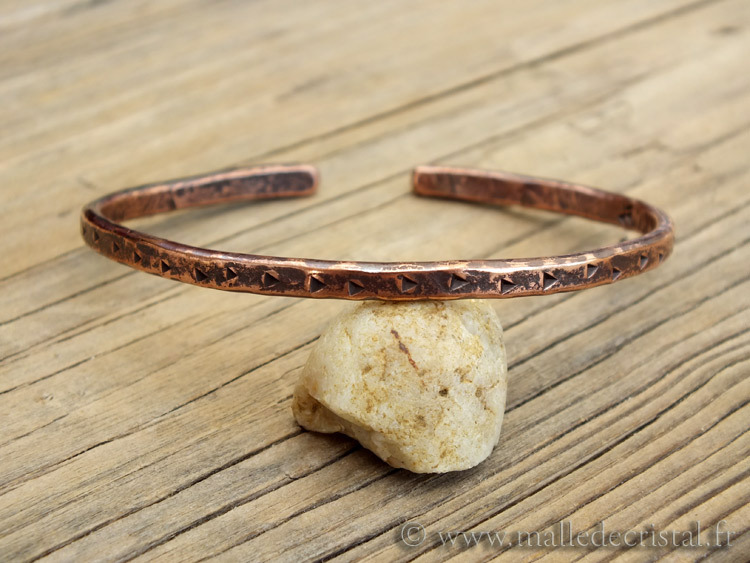 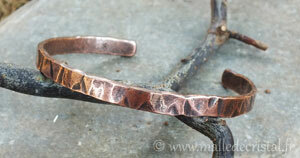 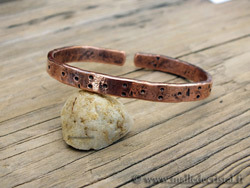 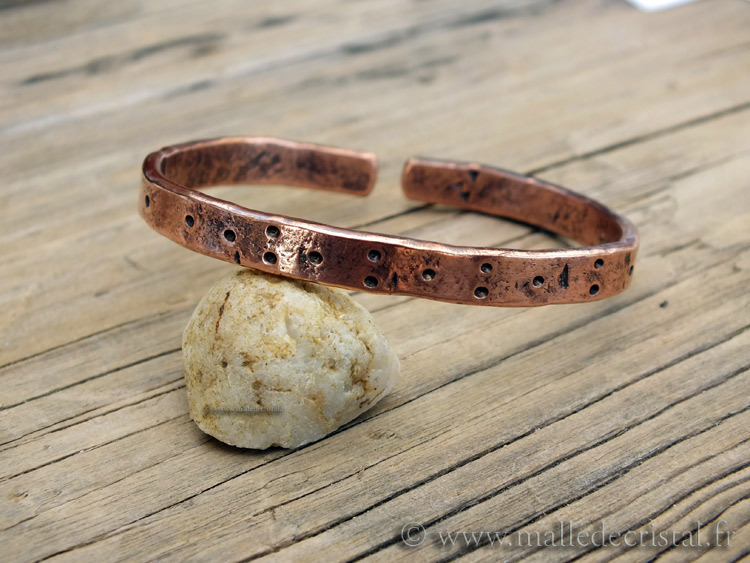 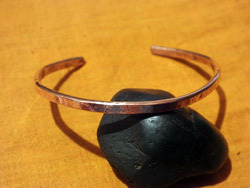 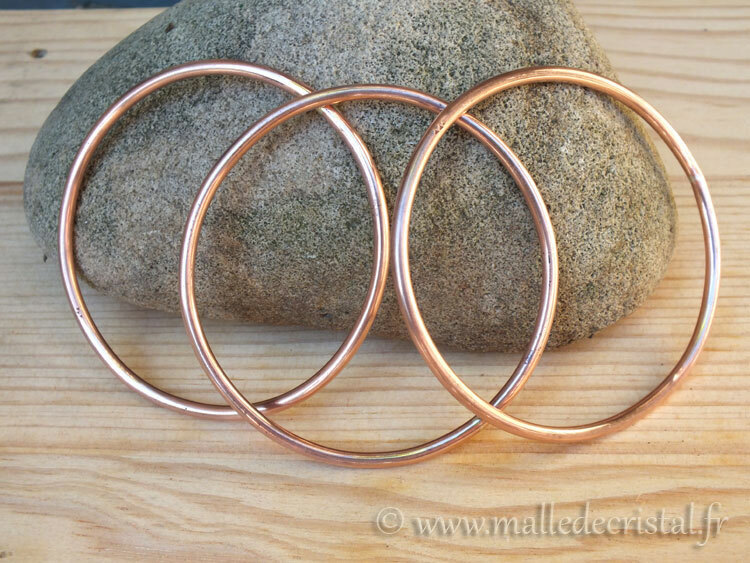 Copper bracelets are deemed to calm back pain by acting on the magnetism of the body and releasing Cu in the body. 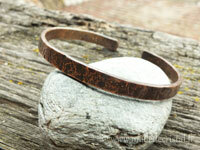 Relieves arthritis, muscle pain. 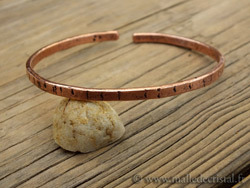 Measure the circumference of your wrist. 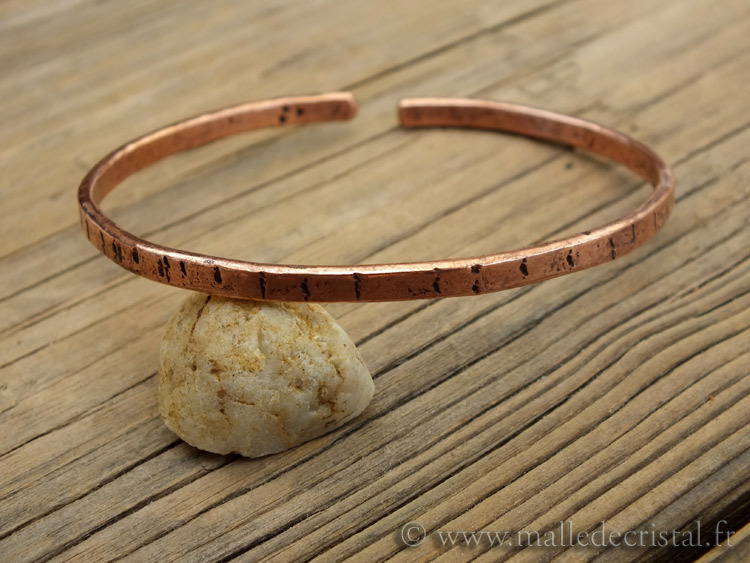 For an adjusted bracelet, choose a bracelet which has 1 to 3 cm less circumference, for got a space between extremity. 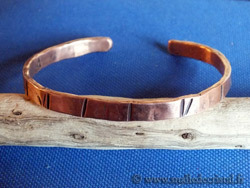 Copper is flexible , you can adjust it to your wrist..
Ho'oponopono is an art of living that comes from Hawaii. 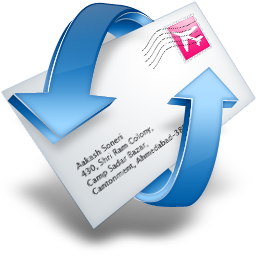 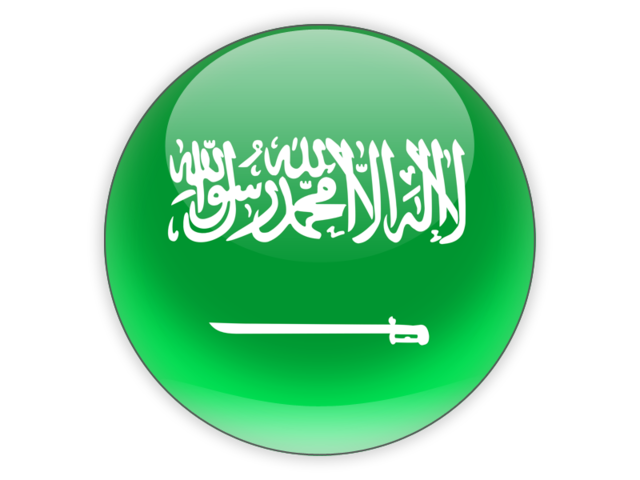 It is a ritual of forgiveness and reconciliation; it is a true path to unitary consciousness. 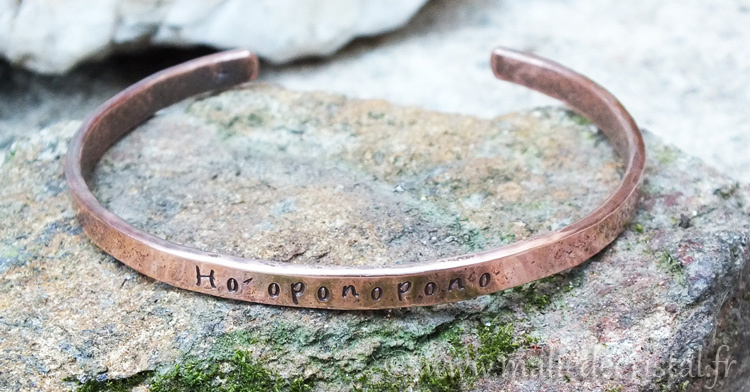 Ho'oponopono (ho-o-pono-pono, sometimes translated as "putting things in order", "restoring balance") is a social and spiritual tradition of repentance and reconciliation of ancient Hawaiians. 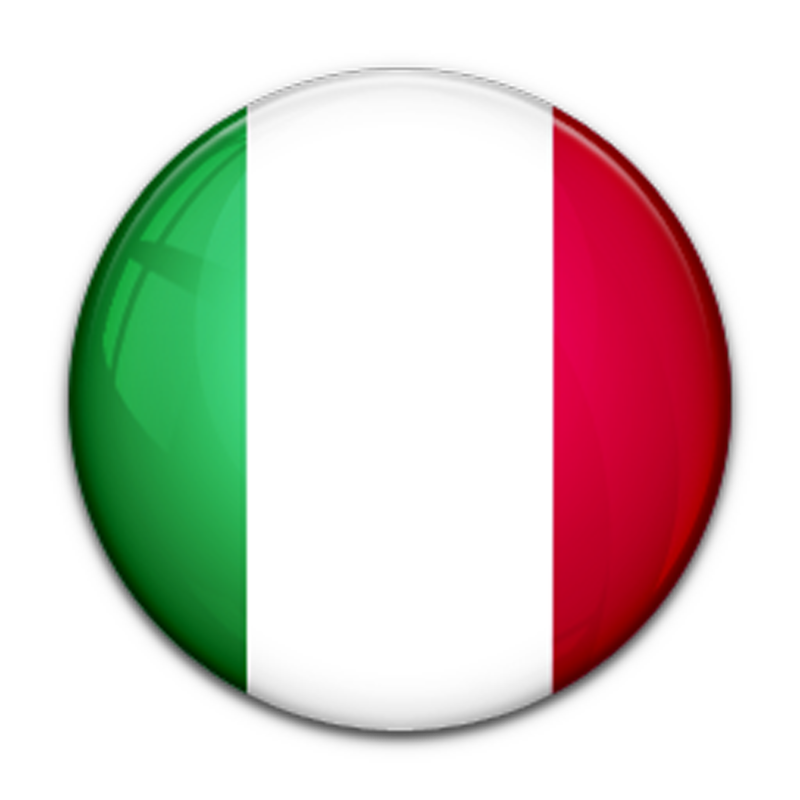 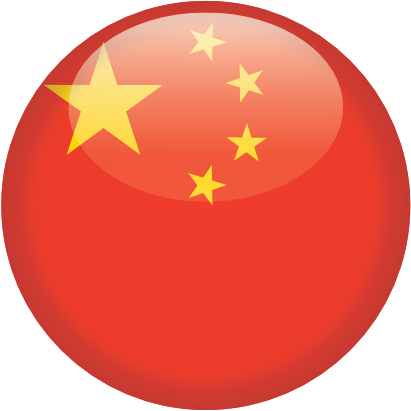 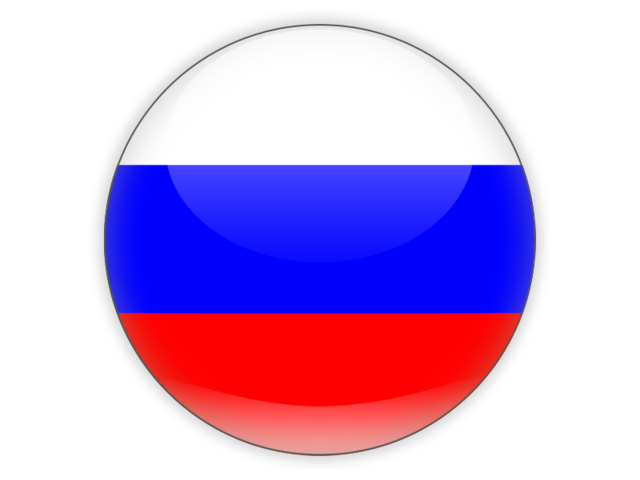 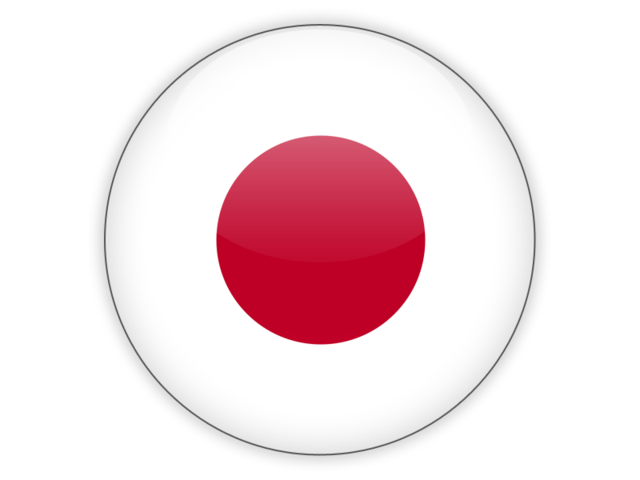 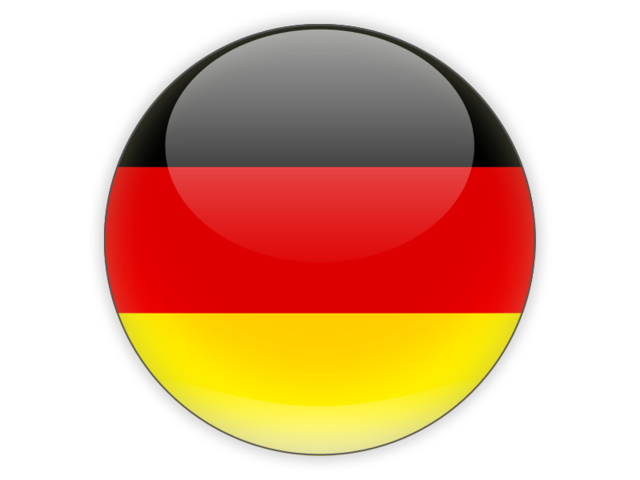 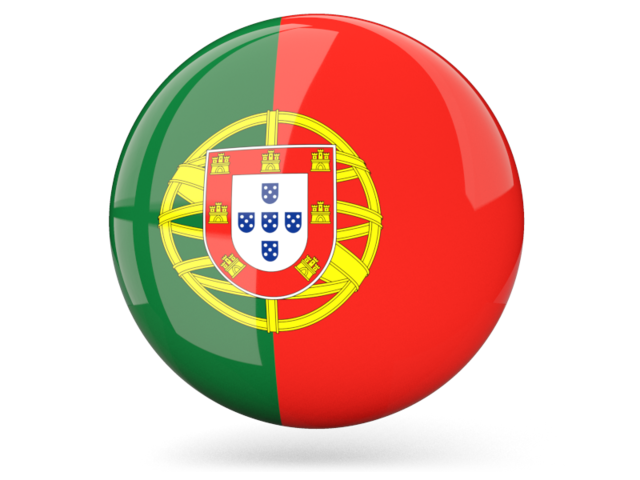 Identical family therapy customs are also found throughout the Pacific Ocean region. 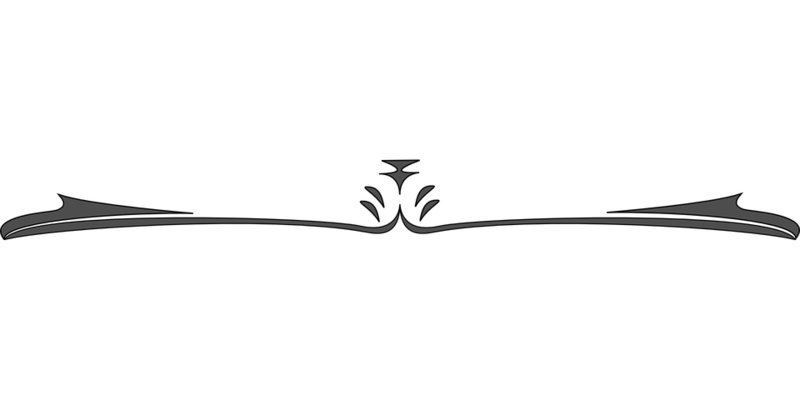 The traditional ho'oponopono was led by a kahuna lā'au lapa'au (healing priest) to heal physical or mental illnesses within family groups. 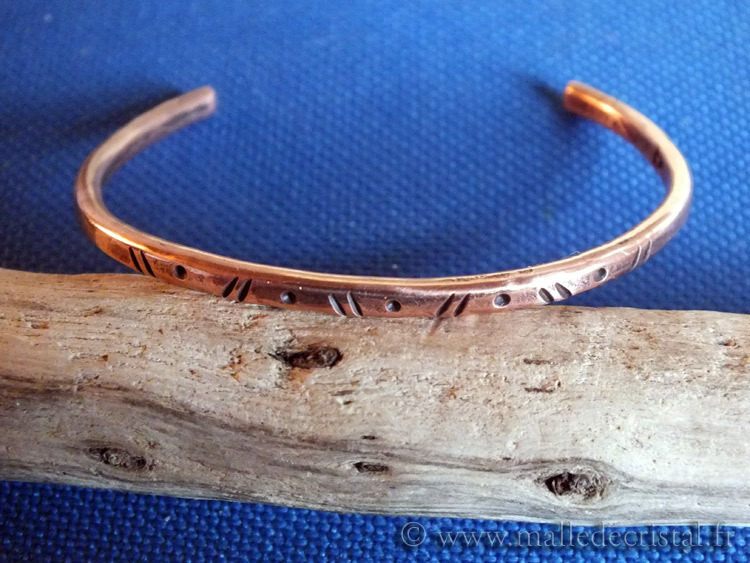 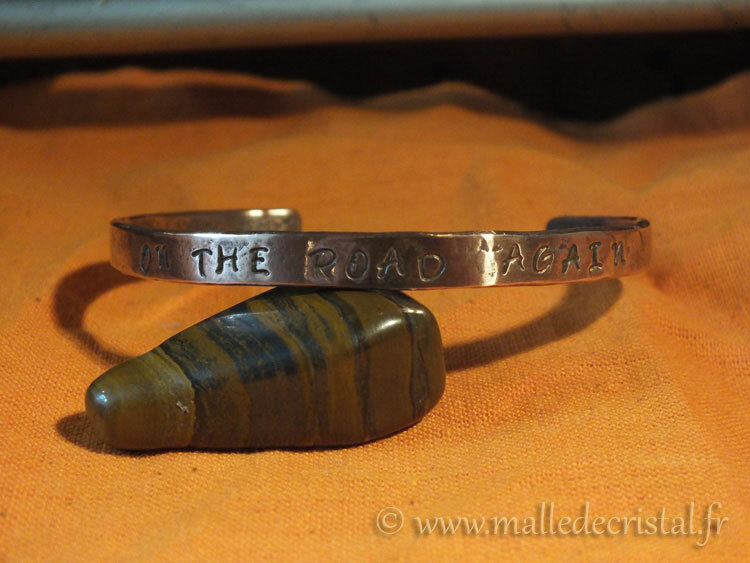 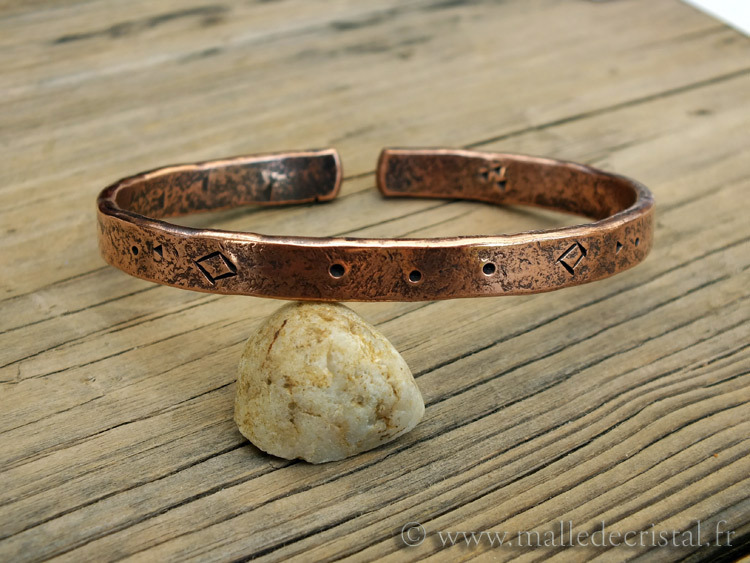 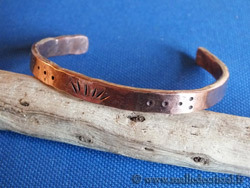 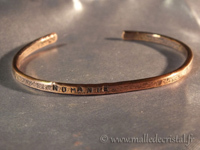 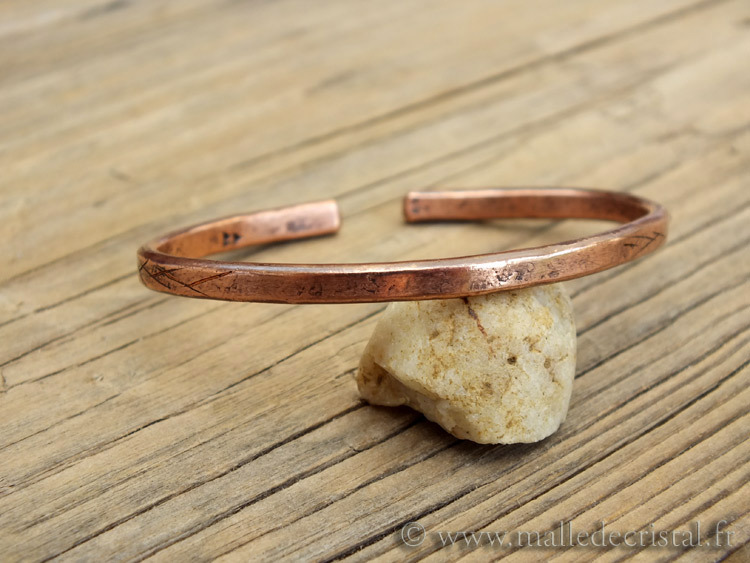 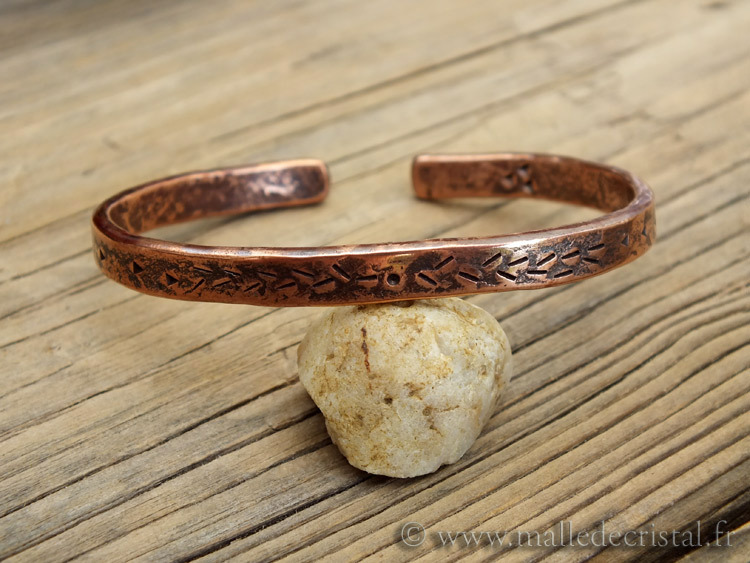 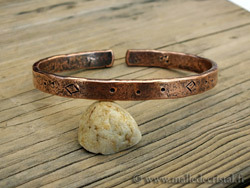 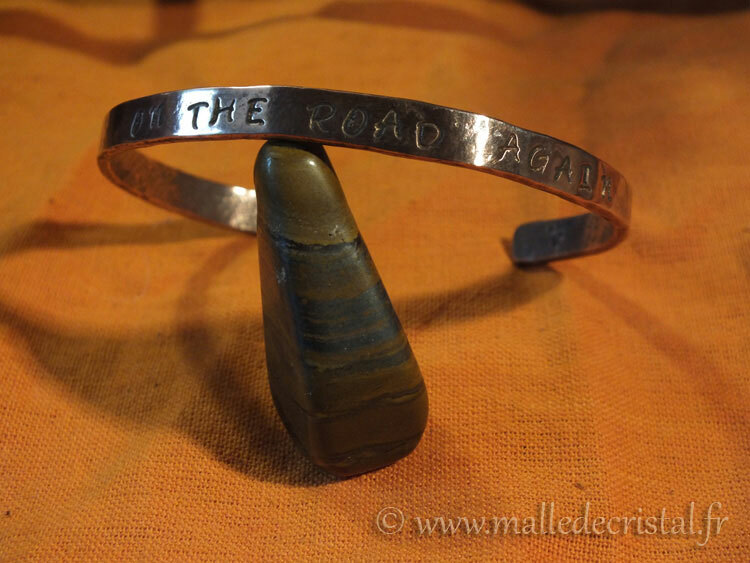 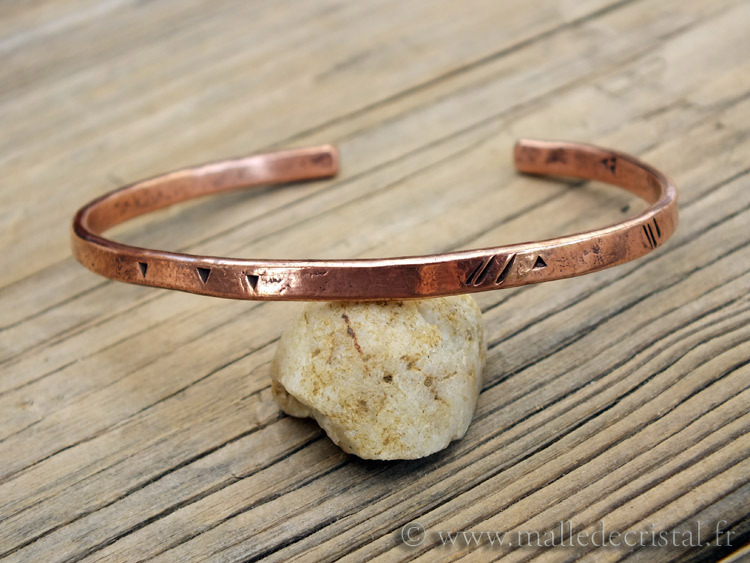 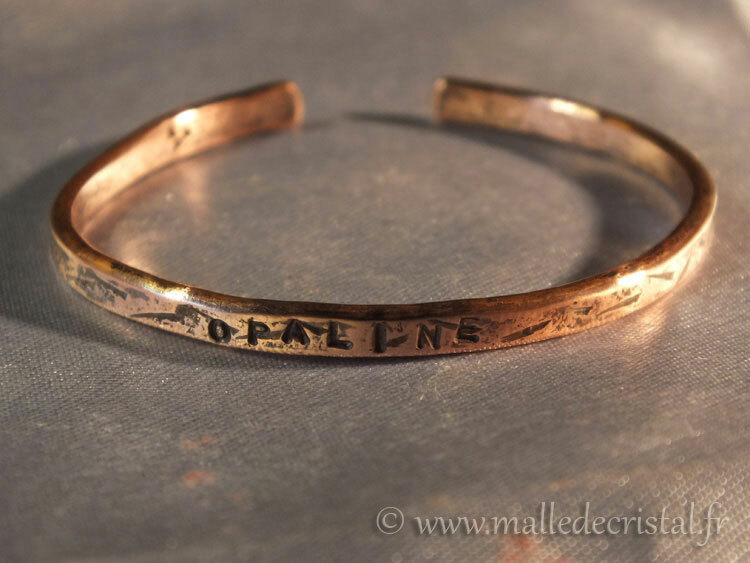 Copper Bracelet personalized in engraved letters (indicate me the sentence or first name to put when ordering in the comments). 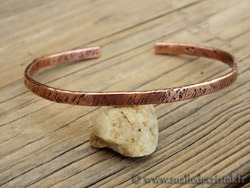 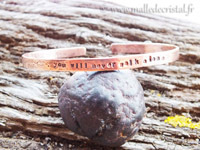 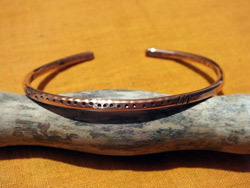 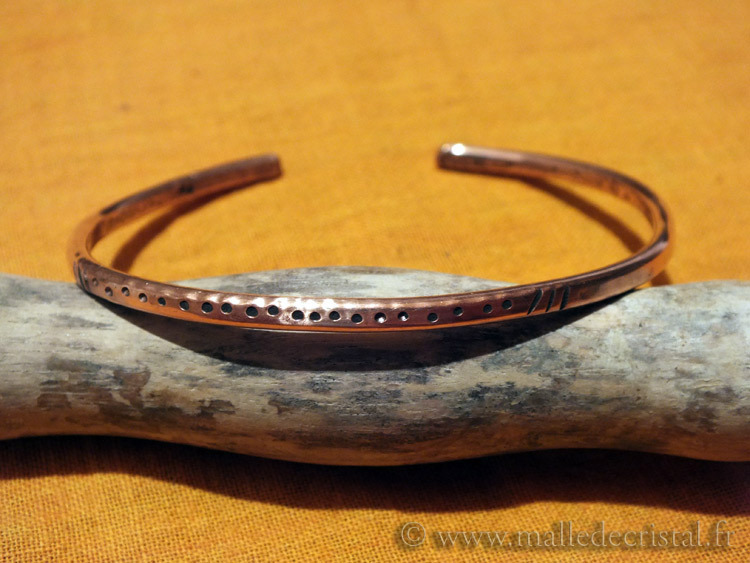 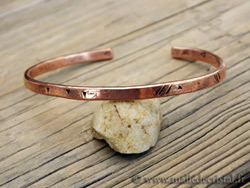 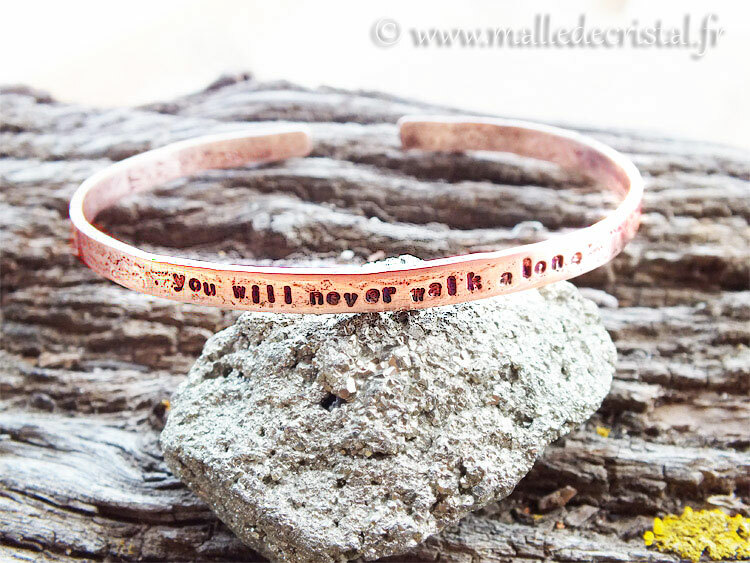 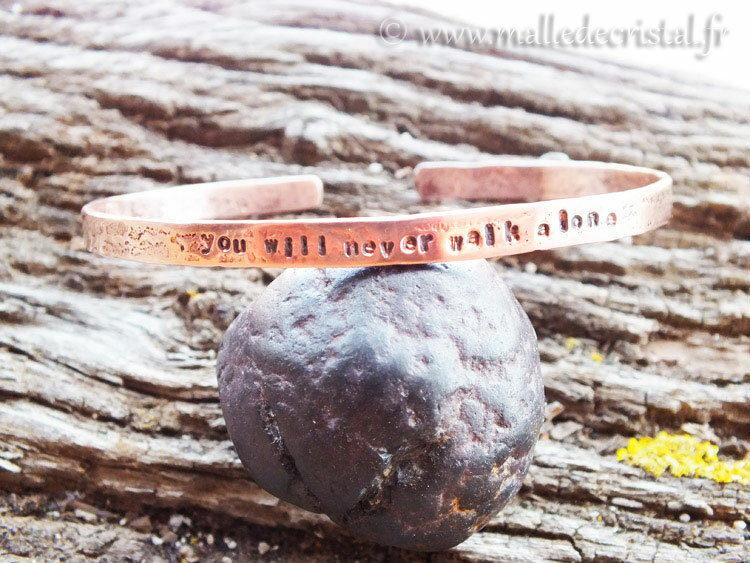 Copper Bracelet personalized in engraved letters (indicate me the sentence to engraved when ordering, in the comments). 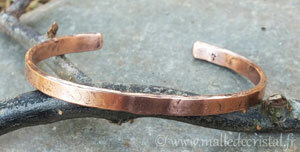 Uppercase or lowercase typography "Bridget 3mm"